A deeply nourishing paraben-free treatment masque that transforms hair from ordinary to extraordinary with the perfect fusion of ten key elements, including Arabian Frankincense to help smooth and strengthen the cuticle. Leaves strands shiny and silky for hair that looks and feels magnificent. Infused with the perfect blend of 10 of the worlds most efficacious natural ingredients: Arabian Frankincense, African Cacao Extract, Color Hold Complex, Caviar Age-Control, Bulgarian Primrose, Moroccan Quillaja, White Truffle Oil, Grape Seed Oil, Hyaluronic Acid, Arnica Flower. Free of parabens, sulfates, phthalates and synthetic color a s well as DEA, TEA, gluten, mineral oil, petrolatum, PABA, and paraffin. Possesses a remarkable hydrating property that can absorb nearly a thousand times its weight in water. 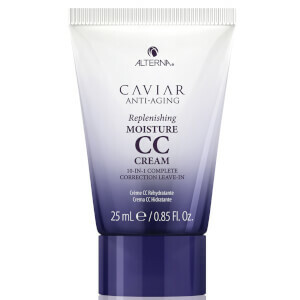 Provides instant moisture to dehydrated hair. For use on all hair. After cleansing remove excess water and massage masque into the lengths of the hair. Leave on for 3 to 5 minutes. Rinse thoroughly. For optimal results cleanse with TEN Shampoo. I have a high expectation on this hair mask as I saw so many good reviews, while it's useless at all. The worst hair mask I've ever tried. I ordered this product 2 years ago. At the time i was using alot of protein without knowing negative effects of so much protein on my hair. My hair felt like straw it was so dry and nothing could moisturize it. When i ordered this product i was at the peak of using so much protein that i thought this was making my hair dry. I returned it and gave it a bad review. Fastforward, now that i am more knowledgeable about hair products and got my hair back in control, i decided to give this a try again. WOW! My hair is moisturized and soft and feels more healthy. I think my hair has also more shine to it. I used Humecto by Keracare as a conditioner and use this as a deep treatment. For both product, i use only a small nut size. Another thing i learned is using more product is not necessarily better and using only a nut size is effective enough without weighting my hair down.Note: my hair is tick,coarse, and relaxed. I also use the Kerastase Chronologist once every 7 weeks as a protein treatment, just after my relaxer. I don't have the wow effect like this product, but i only use it as it is intended to be used which is no more than once a month. You know how with every hair line the add always says ..try it , you'll feel the difference. Then you take it home, and it's just another regular hair product, well, this is the very first product that I have tried where you really feel the difference. I'll never use anything else. Try the conditioner and shampoo too. This whole line is amazing.